"This story is about the life of a child transported to France to live at her father's winery. This is pre WWII. Then Ella is abandoned by her mother. We follow her thru the growing up years as she blames herself for her mother leaving, for the death of her brother, and any thing else where someone leaves. War comes and eventually she moves to Paris to work on her painting career. Give this book a read. You'll be glad you did." ~ Amazon review. Jayme H. Mansfield is an author, artist, and educator and feels a bit incomplete when she's not juggling all three balls. An award-winning author of vivid and literary stories, her debut historical romance book, Chasing the Butterfly, received the 2016 Illumination Award for Enduring Christian Fiction, the 2015 Christian Small Publishers Book of the Year for Historical Fiction and the 2015 Inspirational Readers Choice Award Finalist for Women's Fiction. Jayme lives in Lakewood, Colorado with her four "boys" three hungry, hockey playing sons and a big kid husband, and a very needy Golden Retriever who steals paintbrushes and demands walks. When she isn't writing, she teaches art to children and adults at her long-time studio, Piggy Toes, and elementary and middle school art at Aspen Academy. She loves to hide in her studio to escape the mayhem, and travels with her characters to faraway places and long ago times. 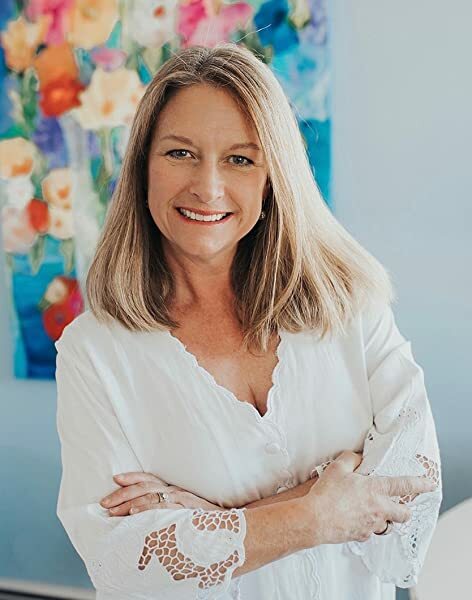 If you're itching to journey to Paris and Provence, or saddle up and head west in her upcoming book, please visit jaymehmansfield to sign up to receive her newsletter, be inspired by her blog, and dabble in art lessons and creative inspirations. She loves to speak with large and small groups and is a visiting author, book club junkie. Please "like her on facebook.com/jaymemansfield, tweet her @Jaymemansfield and check out her lively boards on Pinterest. Listening to #ChasingTheButterfly AudioBook I got a good glimpse into the French countryside, the vineyards and Paris. As I heard Chasing The Butterfly I enjoyed the book a bit differently as this is the first audio book I heard. Ella is a sweet, talented young girl, an artist, an excellent painter who faces the loss of her mother while quite young. She does not understand the reason her mother has walked out leaving their family. Heartbroken, she put her heart and soul into her paintings. As she grows into a kind, genteel lady her art is discovered making her work much sought after. The story is her journey as she learns to overcome the disappointment and lies. She finds love when she least expects it and overcomes heartbreak. The story is of faith in God and oneself. This is the first audio book I listened to and I have a mixed reaction to it. First the good things – I liked the book. I liked the story and the way it progresses. The narrator kept the flow going and ensured each character had a distinct voice making it easy to follow. The thing I disliked was the French accent – it was good in most places but sometimes it became so heavy that I had a tough time understanding what the characters were saying especially the men. Though I did not read the book even though I had it but I was tempted to. I heard the book over a few weeks and in spite of the breaks, the audio immediately got me back to the book just like reading. The story is a well paced and more than a love story, it is a tale of faith, family and of love that endures. The father-daughter relationship is beautifully explored as is the love of God that binds them. He may be invisible but if you have faith all things are possible. The love she finds and how Andre supports her makes for a heartwarming read. I have been reading quite a few books of #ChrisFic and I find the way authors link the story and its twists and upheavals to god’s handiwork quite a change to read. The book has depth, a strong storyline and lots of beauty. The beautiful paintings, the emotions and finally the faith that unites against greed and conniving makes for a peaceful read. It was just so calming to read this book. This could be a true story based during the World War II it reflects the fears, angst and sad war casualties. The book is a very realistic representation of that time. Yet it also brings out the goodness and charm of those times – when neighbours looked out for each other and your word meant everything. 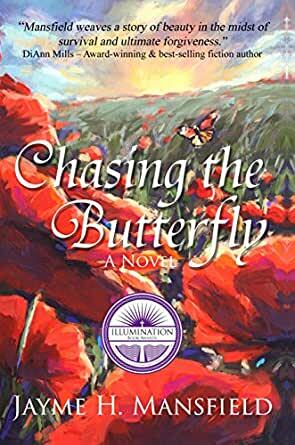 Chasing The Butterfly is a word to read or heard to savour and enjoy at leisure as the author paints with her words and not just the paintings that Ella does. For a book to be rated a five, for me it must teach me something and grab my emotions. "Chasing the Butterfly" did both. It's an extremely well written novel of historical fiction, a masterful piece of writing! I recently finished it and can easily say this book makes my top list of best books I've ever read. I usually don't care for first person stories, but this one is exceptional. I got so caught up in Ella's life—her internal and external stories—that I ached to have her resolve all her hidden and visible troubles. Whew...glad Jayme did such a great job of it all. I loved the artist thread, the family challenges, and the romantic story as well. Kudos on all of it! I understand why it received the awards it did. An artfully done story that goes deep. This story spans from 1929 to 1960 through the Second World War beginning in New York City across the Atlantic Ocean to France. An outstanding inspirational, hictorical romance debut. the way their lives worked out for each of them. Papa was always the head of the family. 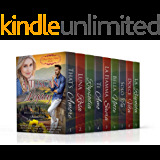 This is an excellent historical romance with family, love, heartbreak, forgiveness, and hope. I recommend this book to everyone. A fast paced read with love, devotion and a wonderful ending. I truly enjoyed this story. It follows the budding career of a French artist in the midst of devastating family changes, personal struggles, and world events. It was a stand-alone story, with loose ends wrapped up but not so perfectly that it spoiled the storytelling. I found it to be a well-written, engaging story. I recommend it and look forward to more from this author. 5.0 out of 5 starsWell-crafted, dynamic and charming debut! Engaging, vivid, and ultimately up-lifting. Jayme Mansfield's debut novel depicts authentic human experiences of love, loss and actualizing one's dreams within the context of France in WWII. This accessible, well-crafted tale is a delightful read with, frankly, light Christian overtones. "chasing The Butterfly" is a literary treat for the reader, a sign of great works ahead for a gifted story-teller and wordsmith. 5.0 out of 5 starsFantastic novel!! I love historical novels and Chasing Butterflies did not let me down! It was a beautifully written story of pain, love and forgiveness. I fell in love with Ella, her determination to survive but also her human side that we can all definitely relate to. I read past midnight last night, had to finish! Fantastic read that I would recommend. I looked for more books by Jayme H. Mansfield and could not find any and realized this was her debut novel, wow, very talented author. I really enjoy this novel. The characters were believable.the setting was descriptive and lovely. I found myself caring about the characters and fully engaged in their tragedies and triumphs. Mansfield is a masterful storyteller. I'm eagerly anticipating her next book.